One of the most popular names in women’s perfume, Mona Di Orio worked for over thirty years in the fragrance business, eventually tiring of its conventional, by-the-book methods and branching out with a line of scents entirely her own. She said goodbye to the boring blends of her contemporaries and instead set out to make bold and enticing mixtures never before seen by the perfume industry. You won't find these kinds of aromas anywhere else, not with their inventive and entirely unique blends. Be bold. Be one-of-a-kind. Mona Di Orio perfume is your way to make a mark on the world, ensuring that everyone you leave behind will be breathing deeply long after you've gone. Les Nombres d'Or Cuir Eau de Parfum Spray 75ml by Mona di Orio. Les Nombres d’Or Musc Eau de Parfum Spray 75ml By Mona-di-Orio. Les Nombres d’Or Nuit Noire Eau de Parfum Spray 75ml by Mona di Orio. 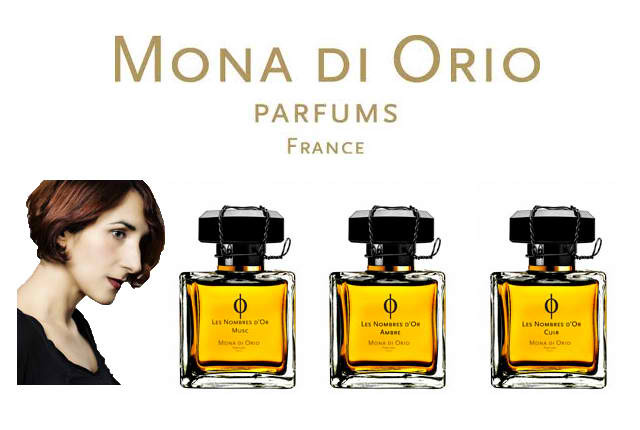 Les Nombres d’Or Oud Osmanthus Parfum Intense Spray 75ml by Mona di Orio. Les Nombres d’Or Tubereuse Eau de Parfum Spray 75ml by Mona di Orio. Les Nombres d’Or Vanille Eau de Parfum Spray 75ml by Mona di Orio.